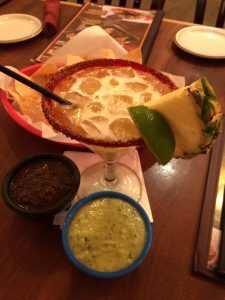 Review: We’ve made many trips to the various Los Cucos locations around Houston even visiting their restaurants all the way to El Campo. In recent times, their margarita menu seems to have expanded. 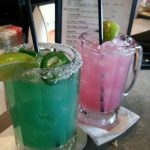 You will now find more variations, tequilas and seasonal offerings. On our most current visit, a picture of a watermelon margarita filled the front of the drink menu. Inside, were many other versions including the Pina Mango Margarita which we ended up ordering. 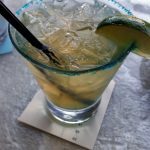 Served in a generous sized glass and large garnish, this drink had the perfect balance of sweet, sour with the tequila popping through all of the delicious flavors. Their Jumbo Cucorita is probably considered their signature drink. They use a 100% blue agave tequila which we found out on a previous visit is a tequila specifically produced for the restaurant. A bartender let us try it on it’s own, which was served from a Los Cucos branded bottle and tasted like a smooth reposado tequila. It works great in this drink and may or may not taste better served in a jumbo glass. 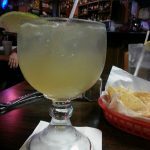 The margaritas at Los Cucos never disappoint and would feel comfortable ordering most drinks off their menu. 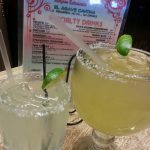 Have you tried the margaritas at Los Cucos? If so, leave a comment below and let us know which version and what you thought about the cocktail.